Who's ready for Halloween? I'll be the first to admit that it's never been my favorite holiday, but this year I've really been getting in the spooky spirit more than usual. 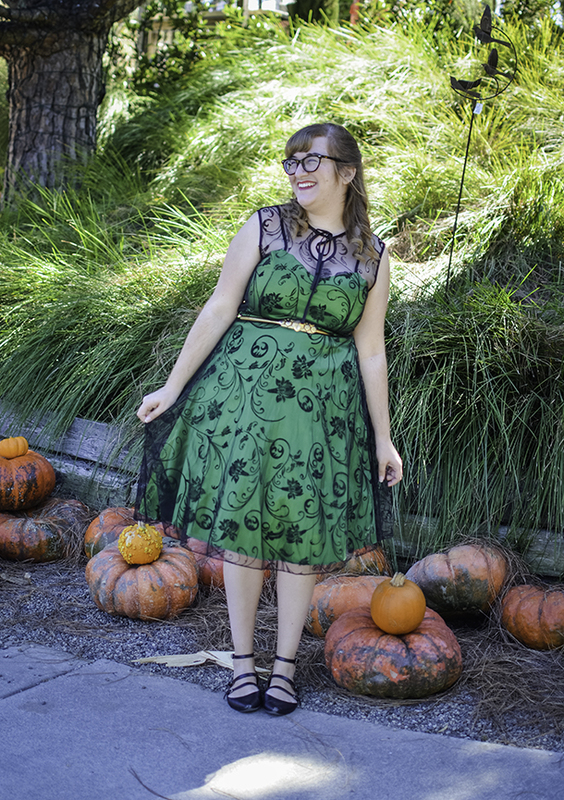 Because I've never been too into it, though, I don't have a ton of Halloween theme clothes, so when Lindy Bop (AKA one of my all-time favorite brands) contacted me about this green and black lacy number, I knew this was the perfect chance for a witchy look. It's not something I'd usually gravitate toward, so I wasn't sure how it would look on me, but I ended up LOVING it on. The lace overlay is gorgeous, and I felt incredibly confident in it all day. 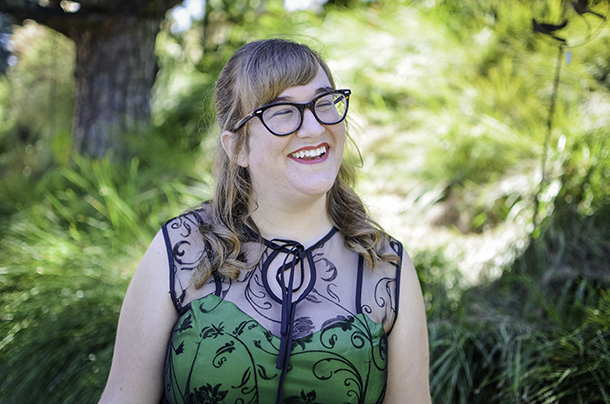 I knew I wanted a location to match for these photos, so my friend Whitney and I went to Rogers Gardens in Newport Beach. Rogers Gardens is an adorable plant nursery, and this year, they have a pop-up Hocus Pocus/Harry Potter shop. The shop was the coolest, but it was pretty small and dark so it ended up not being the best spot for photos like I had hoped. 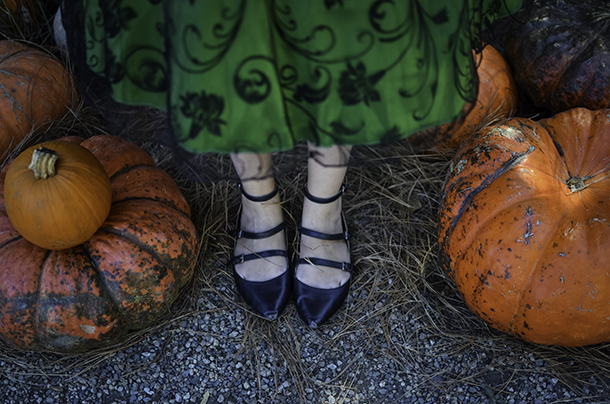 Luckily, they also had plenty of spots with pumpkins for sale, so I was still able to have the Halloween shoot of my dreams. That said...this dress would also be perfect for Christmas, wouldn't it? I can't wait to style it for the holidays this winter too! 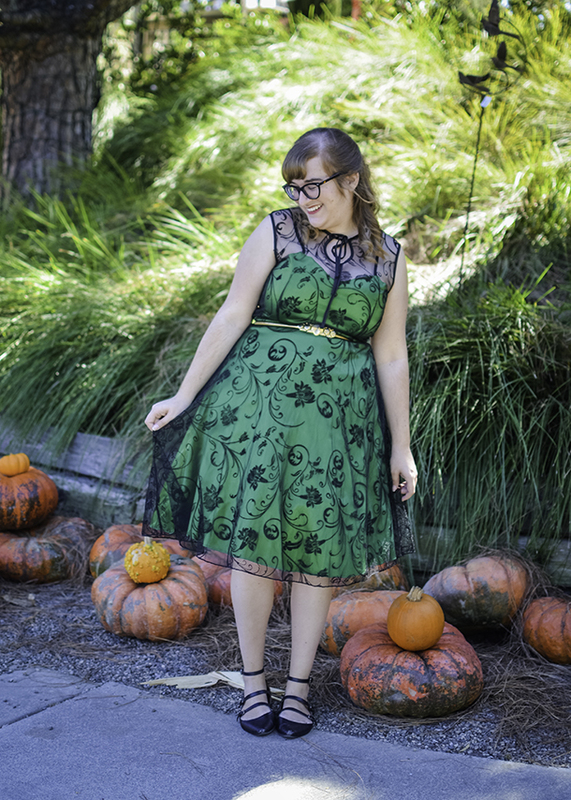 I've found that a lot of Lindy Bop dresses run large so I've often sized down in them. The bust on this one is a little tight so choosing my regular size worked perfectly. Other than dressing in themed clothing, my life has mostly been work, Disneyland, and binge watching TV. So pretty much same old as usual. You're not missing much. And just a reminder that while I'm managing a blog post about once a month or every other month, you can find me over on Instagram pretty much every day.